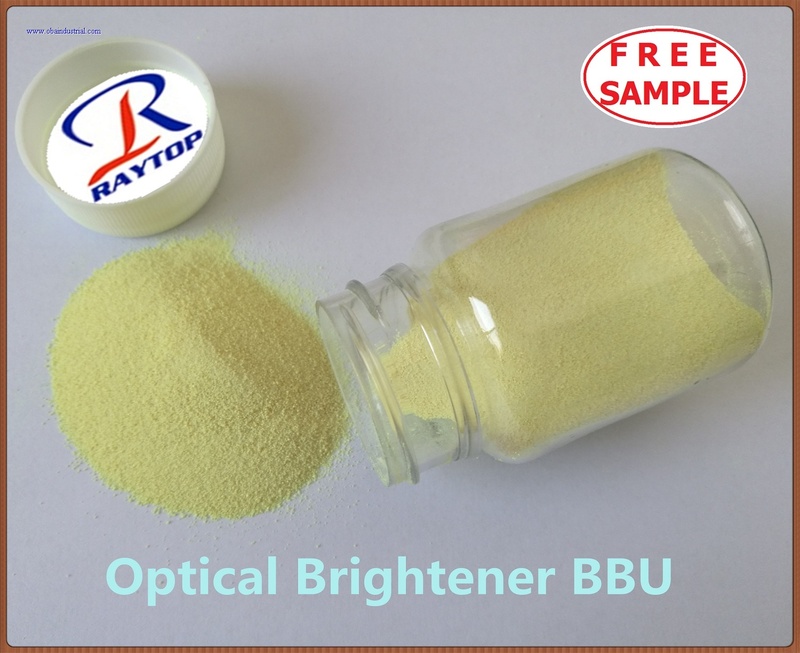 Cationic distyrene fluorescent brightener, with medium solubility in water and purplish blue fluoresoence,Use in pulp brightening, surface sizing and coating, etc, Can also be used to brighten cotton,T/C blends,fiax, polyamide fibers,and light-color textiles. 1.When brighten in pulp, BA should be added before alum or cationic auxiliary agent;dosage;0.05-0.4%(of absolute dry puip). 2.In surface sizing,it can be used at any stage of coating production in the form of aqueous solution after dissolved. 3.In coating, it can be used at any stage of coating production in the form of aqueous solution after dissolved. Dosage:0.05-0.4%(o.w.f), bath ratio:1:5-40, anhydrous sodium sulfate:5-20g/L, normal-temperature dyeing, dyeing temperature;60-100℃,PH:7-9. Packing: 25kg carton drum or iron drum lined with plastic bag.